﻿Shoreham Pottery can come to your local School or Education Centre and run workshops for you. We can cater for all, aged 5 and up and can tailor make workshops to your requirements, whether it be a special treat for a small group or a whole year group project. Both Katy and Alice have years of experience working in schools and with children, both with current DBS checks and Alice with a primary PGCE. We are happy to run workshops throughout a whole day or come just for 1 session. 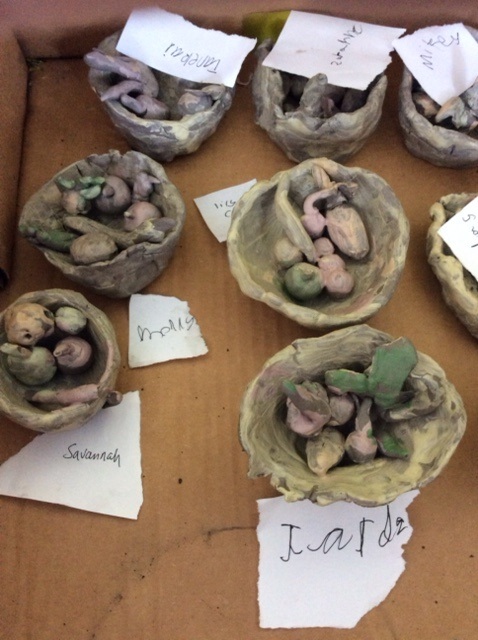 We can provide everything needed, including clay and will take all the finished work away to be fired and glazed. It can be returned to you 3/4 weeks later. 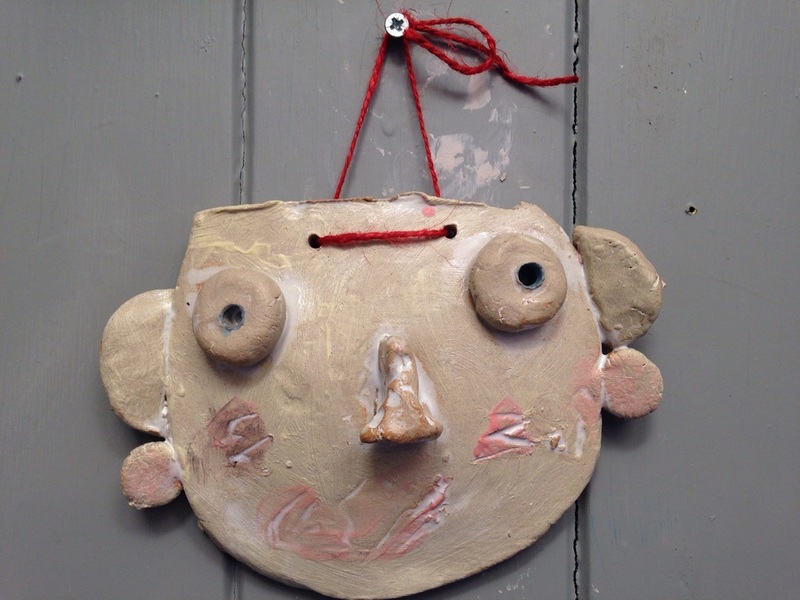 Below are some examples of work created in some of our schools workshops. Alice returning from school with masks ready to fire!